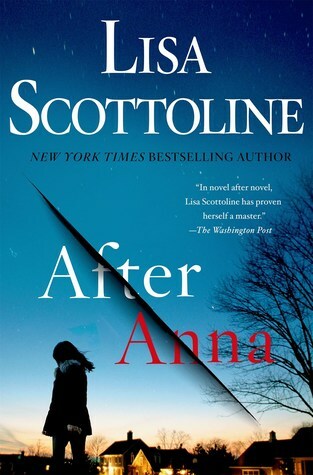 In this edge-of-your-seat thriler by Lisa Scottoline, Dr. Noah Alderman, a pediatric allergist, is on trial for strangling his teenage stepdaughter, Anna, to death. Maggie Alderman, his second wife, lost custody of Anna when she was an infant because Maggie suffered from post pardum psychosis and was a danger to Anna’s life. Maggie’s ex-husband, Florian, was a spiteful jerk, who never let Maggie see her daughter, even though he was not very interested in a relationship with Anna. He basically dropped her off at boarding school, where she was parked for most of her childhood. When multi-millionare Florian, his new wife and two sons die in a horrible plane crash, heiress Anna reaches out to her mother. Maggie is thrilled, and invites Anna to move in with her, Noah, and Noah’s son Caleb. That is when everything starts to go horribly wrong. Anna is not the sweet girl that Maggie imagines. She is manipulative, a spendthrift, a liar, and pits Noah against Maggie in an attempt to get Maggies all to herself. After Anna makes some shocking allegations, Maggie and Noah’s marriage falls apart. The story flips between the past and the present, and the facts behind the murder are revealed a little at a time, keeping the reader in suspense. Full of twists and turns, not everything in this book is what it seems. Will Noah be exonerated of Anna’s murder? Read this great book to find out!